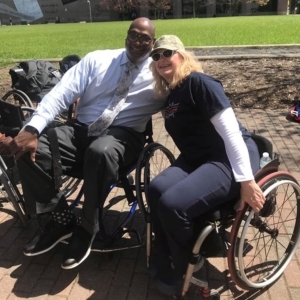 “For many of us, it’s easy to forget how much of our society is made for people who can freely walk, run, and move about in general. 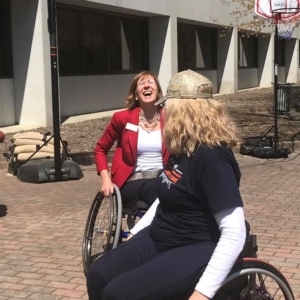 But for others, it is their daily existence, and it is crucial that we all work to make the world more accessible to people with physical disabilities. 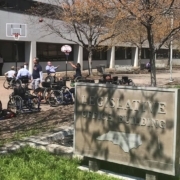 As NC Legislators made their way between committee meetings and sessions on Thursday April 4th they ran into something you don’t see every day at the NC State Capitol– a pick-up wheelchair basketball game right there on the Halifax Mall. 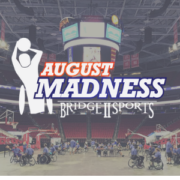 From 10am to 2pm Bridge II Sports converted the mall into a basketball court to showcase adapted sports as part of our EveryBODYPlaysNC disability awareness in schools initiative. 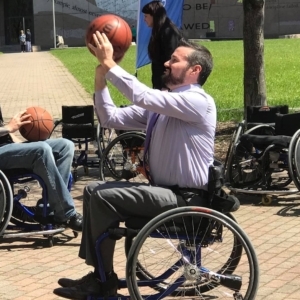 Several legislators and staff got in sport wheelchairs- dress clothes and all- taking shots alongside Bridge II Sports’ athletes. 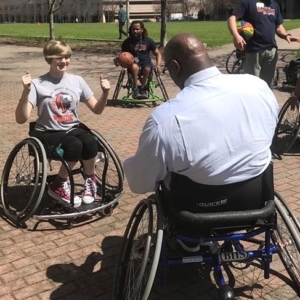 They had the opportunity to learn more about the powerful impact of adapted sports first hand from our athletes and the difference the EveryBODYPlaysNC initiative could make for all students in NC public schools. 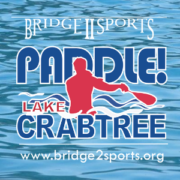 In an effort to effect change for generations to come, Bridge II Sports has developed the EveryBODYPlaysNC initiative. 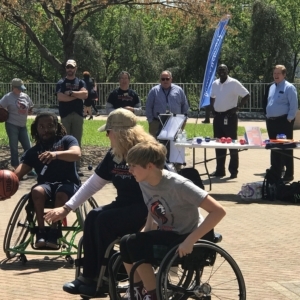 This program brings a full-day adapted sports experience into NC public schools allowing all students, both with and without disability, to play together, break down barriers and stereotypes and leave with a greater understanding of disability. 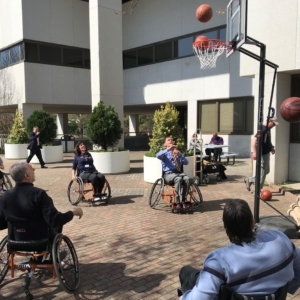 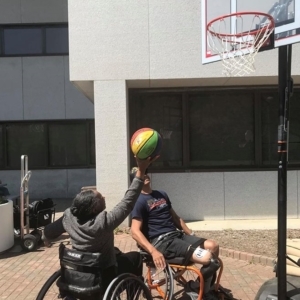 Bridge II Sports staff- many of whom have physical disabilities themselves- introduce students to wheelchair basketball, boccia, goalball and sitting volleyball as well as disability etiquette. 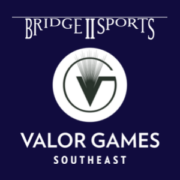 On January 25, 2013, the Office for Civil Rights (OCR) of the U.S. Department of Education issued a Dear Colleague Letter clarifying elementary, secondary, and postsecondary level schools’ responsibilities under the Rehab Act (1973).1 At this time, Ashley Thomas, the Founder and CEO of Bridge II Sports met with Dr. Atkinson, NC School Superintendent, Board Chairperson Cobey and Dr. William Hussey to discuss opportunities. 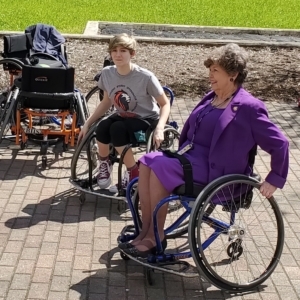 In 2015, through efforts spearheaded by Ms. Thomas, working collaboratively with Reps. Stam and Lambeth, HB 315 was introduced. 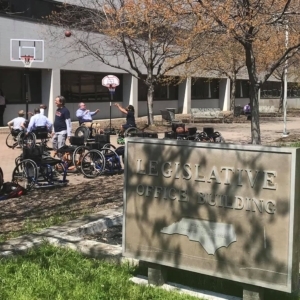 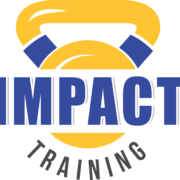 The North Carolina State Senate passed SB 524 (2015) AN ACT TO AUTHORIZE THE DEPARTMENT OF PUBLIC INSTRUCTION TO USE FUNDS TO CONDUCT A PILOT PROGRAM ON INTEGRATED COMMUNITY-BASED ADAPTED SPORTS PROGRAMS FOR STUDENTS WITH DISABILITIES . 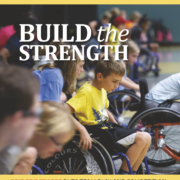 BIIS implemented a pilot from November 2016-June 2018 in 16 schools and is now working on full funding to implement EveryBODYPlaysNC throughout North Carolina.